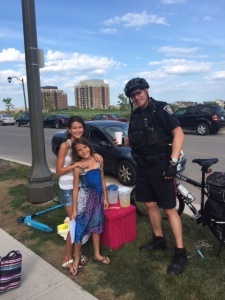 Constable Matt Baker started his career as a civilian member with the Toronto Police Service in 2005, working as a parking enforcement officer. He quickly became an officer and donned his uniform in 2006. 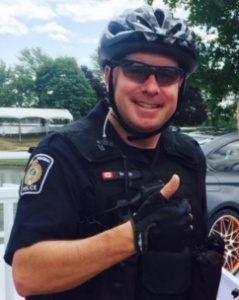 In 2008, Matt left TPS and joined the ranks of Halton Regional Police Service, working as a uniform patrol officer. He spent five years in the Community Mobilization Unit and got to combine his love for cycling with work, patrolling downtown Oakville and area parks and trails on his bike. One year, due to the mild winter, he was able to work on two wheels all year-round. 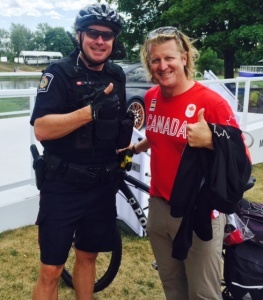 In June 2016, Matt became a member of the new Halton Regional Police Organizational Wellness Unit, dedicated to promoting mental health awareness, stigma reduction and resources for the more than 1,000 members of HRPS and their families. He hopes to be able to share his lived experiences and promote improved mental health in conjunction with physical health. 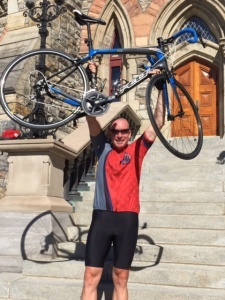 This year’s ride will be the second time Matt has taken part in the 700-kilometre journey from Alymer to Ottawa. 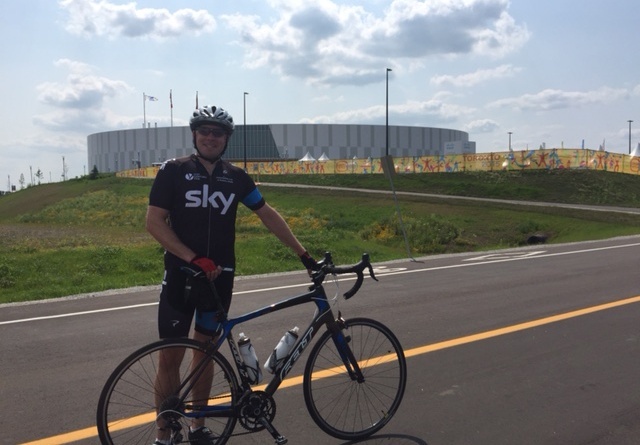 Last year, he was welcomed on to the Niagara Regional Police Service’s team, but this year, he has recruited six additional members from Halton Regional Police to sign up for the Ride to Remember. 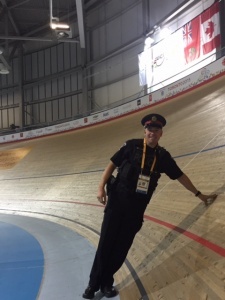 A career highlight for Constable Baker even occurred while he was working on his bike. As part of an investigation into a series of arsons, Matt worked undercover and rode around the area where they suspected the next incident might occur. The suspect was identified and arrested by Matt ending an arson spree that saw more than $1 million worth of damage in the community. On a personal note, Matt has been able to incorporate his love of cycling into his travel plans. He did some cycling around Tuscany in 2012, rode around the island of St. Maarten and is planning a cycling tour of Europe in the near future.